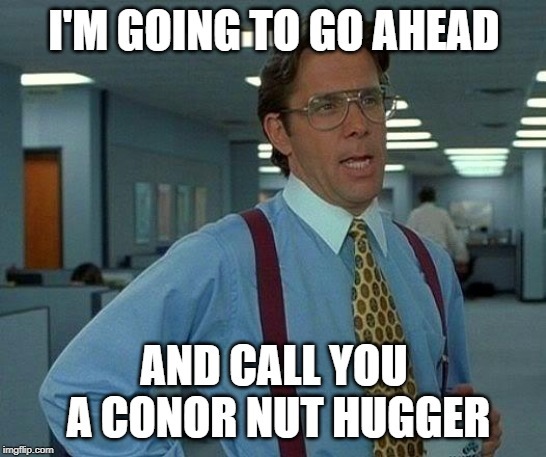 I think Conor could beat Israel. Discussion in 'UFC Discussion' started by 7.62x39, Apr 14, 2019. Since both do not wrestle, they will just stand. Conor's striking is superior.conor would have made Israel paid for those misses despite being shorter. I am your real dad, Haj01, Striker Fox and 2 others like this. The woman in the hotel has a better chance of beating Conor in a rematch. EL Capitan, Histalian, MrFreeze and 39 others like this. Do you honestly think he hits harder than Kelvin? Or that he can take a better shot? It's nonsense to even talk about this. Raikkonen07, Osiris007, Mohawk Banditó and 22 others like this. Emporio Alnino, MichiganMMA1978, Raikkonen07 and 34 others like this. People will laugh at this, but it wouldn't totally surprise me if he did. If it's a striking game and you don't have an iron chin, Conor has a great chance of beating you. Raikkonen07, Mohawk Banditó, XxWolfXx and 15 others like this. Emporio Alnino, Mohawk Banditó, tweedie and 5 others like this. This level of stupidity deserves a ban. MichiganMMA1978, CieloLuce, NekMinnit and 19 others like this. YOU ARE STATING THAT ADESANYA, A 185 WITH A SIGNIFICANT REACH AND HEIGHT ADVANTAGE CAN BE DEFEATED BY MCG WHO HAS A HEIGHT DISADVANTAGE OF 1.4 Ft AND A REACH DISADVANTAGE OF 6 INCHES, CAN BEAT IZZI WHO DROPPED KELVIN SEVERAL TIMES AND WHO'S SIGNIFICANTLY STRONGER AND BULKIER??? You sir, are a troll or a ignorant and without the disadvantages Adesayna would murk Mcg since he's at least 100 times a much better striker in everything. Emporio Alnino, CieloLuce, Sherdog'sOfficialBlackMan and 16 others like this. Emporio Alnino, Mohawk Banditó, tweedie and 7 others like this. Even Conor doesn't believe that sh!t..
Emporio Alnino, Sherdog'sOfficialBlackMan, MescalineDreams and 19 others like this. Mohawk Banditó, XxWolfXx, Fedor Wearing A Fedora and 5 others like this. Emporio Alnino, MichiganMMA1978, CieloLuce and 14 others like this. Mohawk Banditó, Fedor Wearing A Fedora, Small Town Andrew and 1 other person like this. Even Bill Hicks doesn't believe it and he's dead. Mohawk Banditó, Fedor Wearing A Fedora, Kneeuinthenutz and 5 others like this. He might look good for the first few minutes making Israel miss, but once he gets hit the fight changes. Mohawk Banditó, Fedor Wearing A Fedora, mikesparrow and 5 others like this. Mohawk Banditó, Arm Barbarian, Ares Black and 1 other person like this. Connors power doesn’t translate past 155. He is a precise striker with great power at 145. Very food power at 155 but I doubt it’s special at 170 and certainly not at 185. He has limited ground game and anyone who can take his shot will likely beat him. Mohawk Banditó, theTKDguy and Arm Barbarian like this.